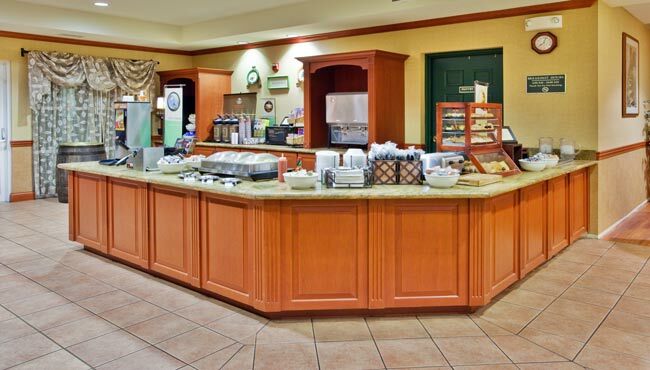 Before heading out to visit area attractions, fill up on our hotel’s free, hot breakfast. With choices like bacon, French toast, waffles, hot and cold cereals, and sausage, you’ll find something to suit every taste. If you're in a hurry, grab a piece of fruit, a bagel and a cup of coffee for the road. Make time later for lunch or dinner at one of the numerous area restaurants, like Rik’s Cafe and Golden Corral.